Great Reading of Sleepy Hollow! Would you consider the audio edition of Free: The Legend of Sleepy Hollow to be better than the print version? 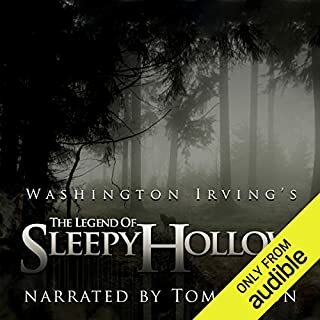 I had looked for an audio version of The Legend of Sleepy Hollow online, but hadn't found one that was any good before now. What about Tom Mison’s performance did you like? Tom Mison's reading of the book was absolutely brilliant. He has the perfect voice for the piece, and his reading of the tale is quite enjoyable. The fact that he is Ichabod Crane in the television show of the same name makes it all the more fun. A great reading of an American classic--which I totally enjoyed!